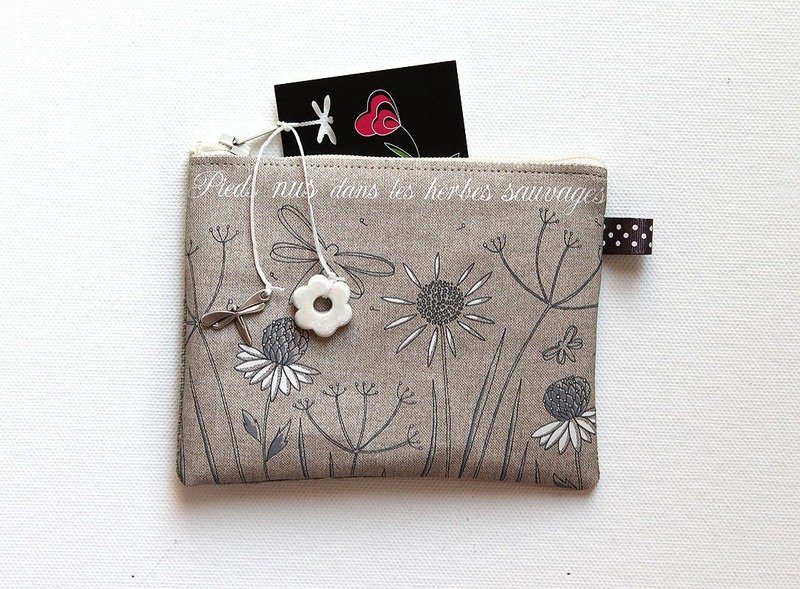 Wallet shown natural linen "barefoot in the weeds"
Two charms (flower white enamelled metal, antique silver dragonfly) are attached to a white waxed cotton cord. Small gray Ribbon with white polka dots on the side. The illustration in shades of grey and white represents a field of flowers and umbelliferae with dragonflies and the inscription "barefoot in the weeds".